JUBILEE Park is set to receive another funding boost under a re-elected state Labor government, with $10 million promised to the centre if the party wins the upcoming election. The funding will go towards the implementation of a multipurpose stadium at Jubilee Park, with courts for netball and an indoor cricket training hub. The stadium will include six netball compliant sports courts, a 1000 spectator seat show court, female friendly change rooms, and new function rooms. Frankston MP Paul Edbrooke announced the promise for funding on 11 October. “This massive upgrade will mean the next generation of Frankston’s sporting stars have the great facilities they deserve. Whether it’s cheering on the mighty Peninsula Waves or having a hit with the Frankston Peninsula Cricket Club, I know how much this investment will mean to local families,” he said. 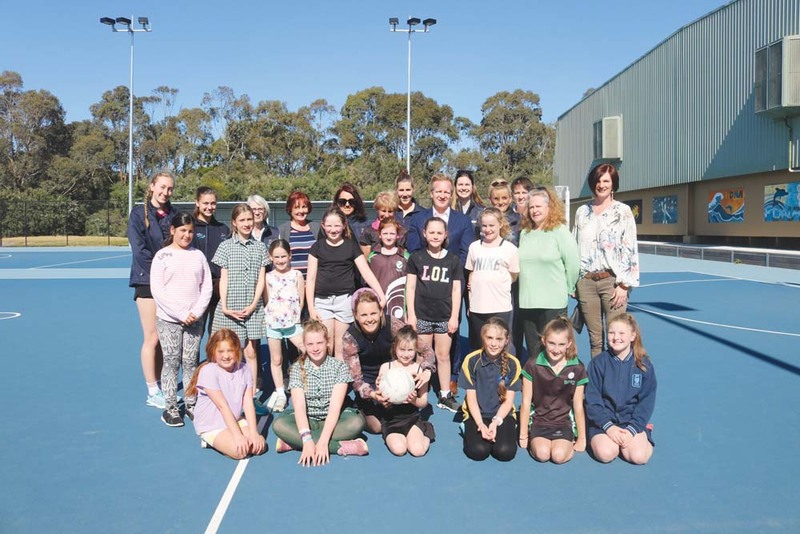 Trish McLachlan of the Frankston District Netball Association said they are “absolutely elated” to hear about the funding pledge. “To think there has been a commitment to supporting our netball community is wonderful. Women in sport and women in our community will benefit through this project. This project is going to do so much for Frankston and the region. I’m still on cloud nine. We’re absolutely thrilled,” she said. “It’s been a long journey, the project for Jubilee Park has been on the table for quite some time. I started in my role three years ago and it was an agenda item back them. I had a conversation with the other precinct stakeholders, Frankston YCW Football Club, Frankston Peninsula Cricket, and also Frankston RSL, and we formed the Jubilee Park steering committee to add weight to our cause to have funding realised. Frankston Council has also made a commitment of $10.6 million to the project to revamp Jubilee Park, while the federal government has put in budgeted funding of $5.2 million. Their commitment came after the reallocation of funds designated basketball facilities in Seaford. “I’d like to thank Paul Edbrooke and the Victorian Government for their commitment towards improving sport and recreation opportunities at Jubilee Park,” Frankston mayor Cr Colin Hampton said. With all the excitement and jubilation over the Jubilee Park proposed project there has been a huge oversight that our local community should be aware of. The $5.2 million dollar federal funding was originally intended for and lobbied for the sport of basketball. When Jubilee Park was first announced basketball was part of the title but in recent days since Mr Edbrooke MP announced his $10 million state funds absolutely no mention of basketball was made. Here in your column again basketball has been omitted. Basketball is the fastest growing and highest participated sport in the region and with a mix of boys and girls, men and women, it serves the recent surge for parity in sport participation. Over 17,500 games of basketball were played last year at the FDBA and on the summer competition for this year there are more female u8s in the competition than males. With a membership base of over 15,000 this sport is in dire need of support. The article that needs to be written is with all the pork barreling going on, why has the basketball community been forgotten? Basketball is still growing and the sport needs to be supported more as currently it has ran down facilities and antisocial game times due to the demand on the sport and lack of facilities. Although I am happy for netball, cricket and footy with the announcement of their new facilities, I never believed basketball should be moved to this location too. The infrastructure surrounding the area currently does not handle the traffic issues and adding another hugely populated sport in the region would not have worked anyway. When Jubilee Park was first announced it was tokenistic of FCC to place basketball in the project title so they could justify taking basketball secured funds to another project. Please can you tell me why basketball has been deleted out of your article and out of Mr Edbrooke MP ‘s announcement at Jubilee Park ? It would seem that Basketball has once again been forgotten. My understanding was that jubilee park was to be co utilized by basketball but it has been omitted from your article and also from Paul Edbrooke’s announcement. There was approximately $5,000,000 lobbied for basketball until a peninsula leisure led council ripped that away and handed it to the jubilee project. Is there something else afoot?